On May 25th 2018, everything you do as a venue or events space changes. How you get and keep data, who you send emails to, how you treat the information on business cards you get through promotions, all facets of established marketing and sales practices changes. Partnering with Sleeping Giant Media, and their CEO Luke Quilter, Urbano is offering our Host Members a headstart on getting their marketing primed and ready for next year, including how Urbano can support you with your promotions and marketing. Luke heads up the fast-growing award-winning search and social marketing agency - Sleeping Giant Media - and GIANT Campus, the training platform for digital marketing GIANT Talks. He has been coaching, teaching, speaking, and won numerous awards for social media and marketing. Luke will give you a practical overview of the currently understood implications of the new rules on data and the processes needed to get in line, whilst - more importantly - shedding light on the positives that this brings to the industry. From traditional sales methods, to digital marketing best practice "opt-in" and gathering data from exhibitions and shows, he will give you a no-jargon guide on what you need to prepare for to get the best out of your marketing and sales efforts when this law come into force. If you are a current or confirmed 2018 Urbano Host Venue Partner, email caroline@urbanonetwork.co.uk to reserve your places. If you would like to find out more about becoming a 2018 Host Venue Partner and to join us at this event, call Caroline on 020 7205 2215 or email for more details. 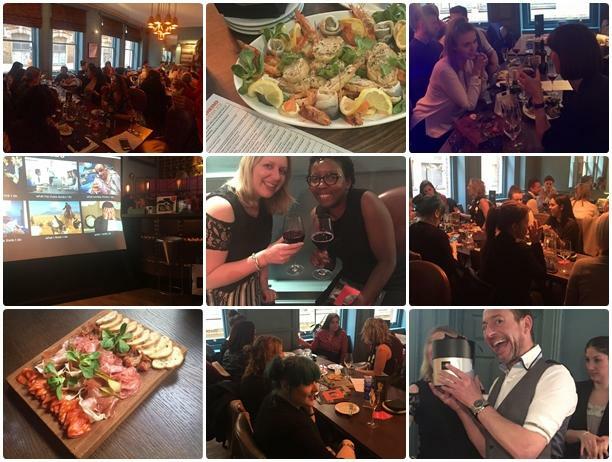 40 Venue Host Partners had a great time at The Bull & The Hide.